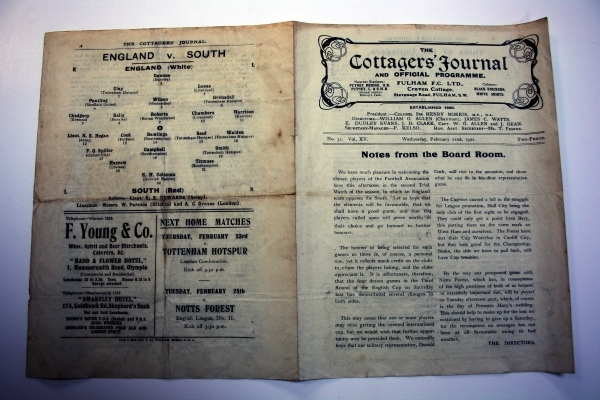 This is a rare programme issued by Fulham FC, who hosted a trial match between England and The South at Craven Cottage on 22nd February 1922. It didn’t go as planned for the England side as they went down 3 – 1. A month earlier they also lost 1 – 0 to The North in another trial game.